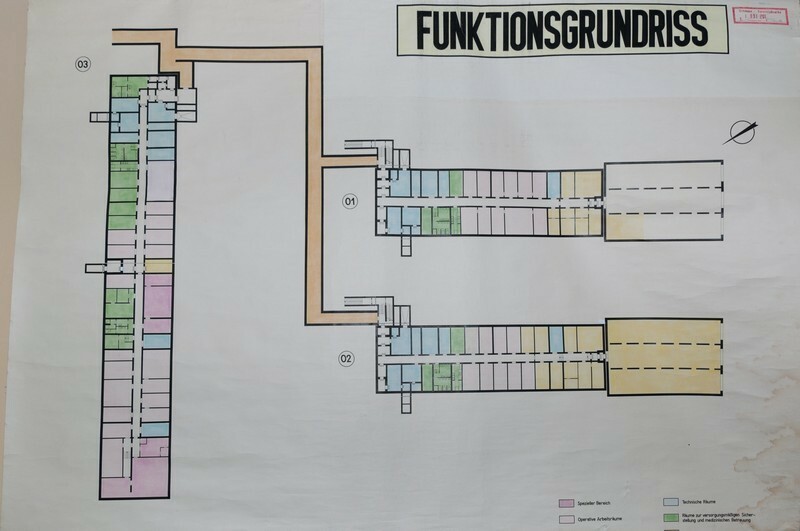 Every major government department in the Former East Germany had some form of protected command centre for the use in a nuclear war scenario. The Volkspolizei (Peoples Police) were of no exception. The Volkspolizei was responsible for law enforcement in East Germany, but it more closely resembled a paramilitary force than a regualr police force as the command structure, facilities, training and equipment were more akin to military forces than police forces. The Volkspolizei was provided with artillery, heavy weapons and armoured vehicles! The Volkspolizei was administered by the Ministry of the Interior and reported directly to the Stasi (Secret Police) and it is known that there were many Stasi informants within the ranks of the Volkspolizei. This series of bunkers in Freudenburg were originally built for the Volkspolizei to act as a command and control headquarters. It is designated Bunker number 7001 – 01 to 04. The bunkers are all joined together with long tunnels, the longest of which is around 250 metres long. There are substantial amounts of surface support buildings that were used during peacetime, the bunker was only intended to be used in the event of war. The original plan was to build one large bunker with 3 storeys underground to house the functions of the Volkspolizei but due to economic instability in the DDR at the time this was deemed to expensive. 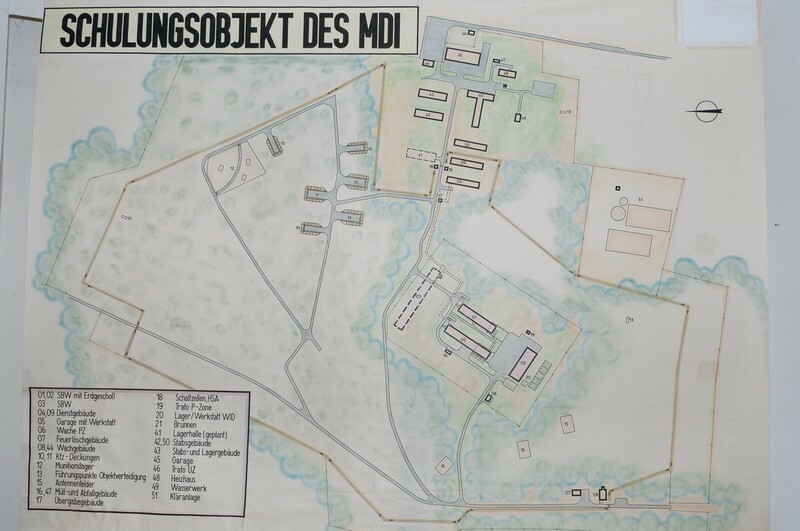 Plans were redrawn and the bunker ended up as 3 large single storey bunkers and 1 smaller single storey bunker all built as cut and cover construction, and joined by tunnels. Construction started in 1983 and ended in 1987 and the entire site cost around 58 million marks to build. The smaller bunker was the commanders personal bunker, the other 3 bunker were for communications, living space, situation rooms and protected vehicle storage (there were 2 very large vehicle garages provided as well). The whole bunker complex was designed for around 200 people and could operate in complete shutdown mode for around ten hours – far less than equivalent bunkers built by other government departments. Only one of the bunkers (the command bunker) was entirely underground and had any real protection from nuclear attack. Each bunker could be accessed from the single storey barrack block built above, and each one could operate in isolation from each other. The largest bunker is around 88 metres long and 15 metres wide, the garages are around 25 metres long and 15 metres wide. The bunkers were all provided with extensive decontamination, air filtration, ventilation, generators and water. Entry to the bunkers was protected by multiple blast doors and electically locked gates. The whole bunker site was protected by a 2 level fence and a high voltage electric fence. It is currently in good condition with lights and power all working. 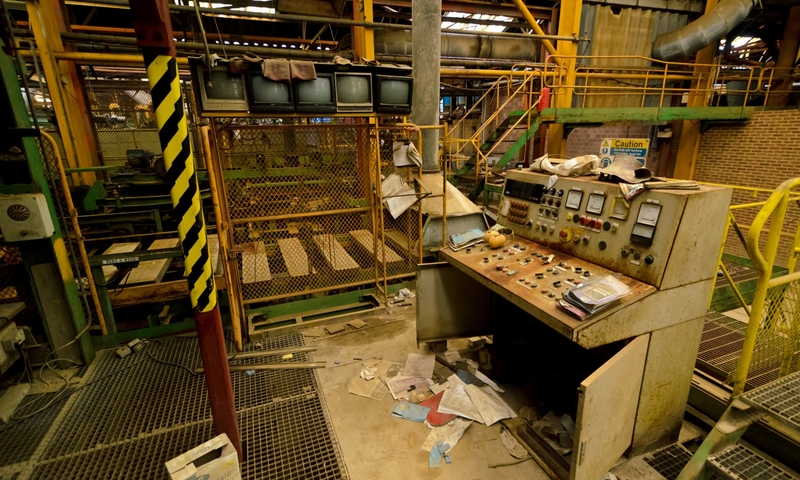 Even the air filtration in the plant room works (as we found out by pressing buttons!). The bunkers do suffer from the inevitable damp causing some areas to be mouldy and in poor condition but for the most part the bunkers are in excellent order with plenty of original equipment and paperwork still in situ. The bunkers are occasionally open for open days but at other times visits are not welcome and the site is private property. Below is some information that are related to the 7001 Volkspolizei HQ bunkers.